1. 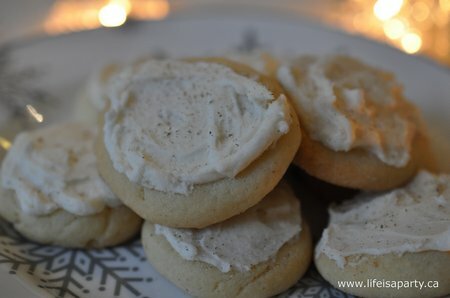 To make the cookies, cream the butter and sugar in a mixing bowl. 2. 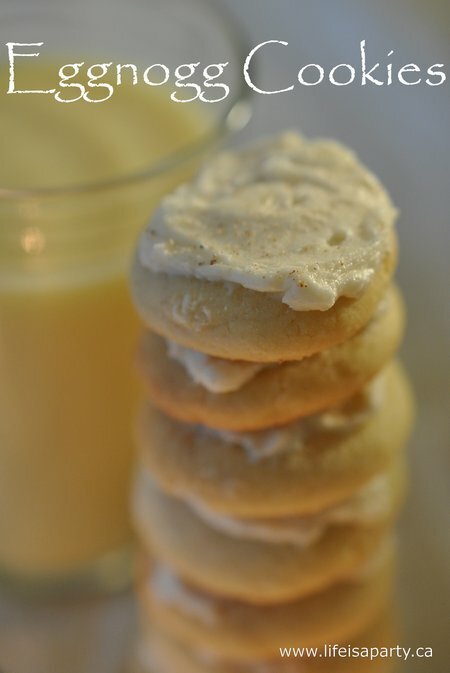 Add the nutmeg, egg, vanilla, and rum extract, and mix thoroughly. 3. Add in the flour and combine. 4. Roll dough into small balls, and press to flatten. Bake at 350 degrees for about 10 min. until lightly browned around the edges. Cool completely. 5. 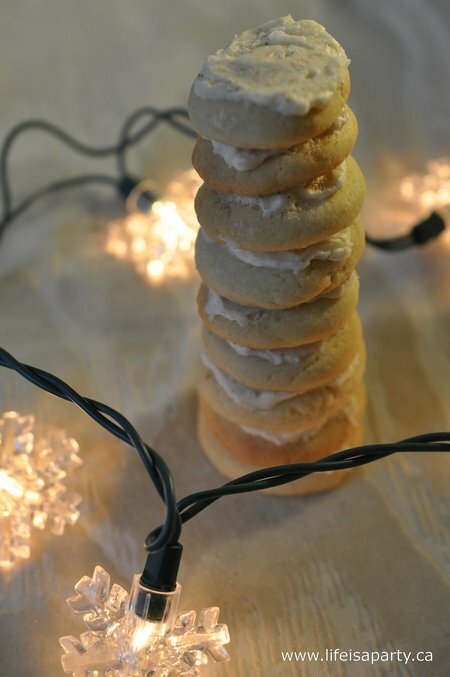 To make the icing, cream butter until light and fluffy. 6. Add in 2 cups of the icing sugar, and extracts, and mix well. 7. Add in cream and last cup of icing sugar. 8. 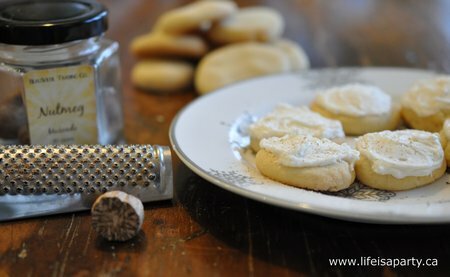 Frost cooled cookies, and sprinkle with a tiny bit of fresh grated nutmeg. 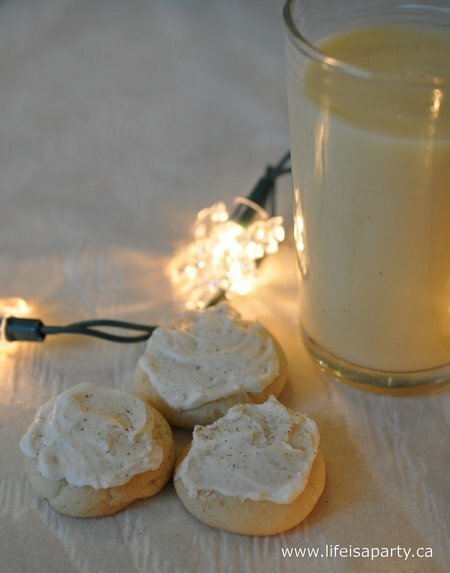 With freshly baked eggnog cookies, life really is a party! This post is linked up at Lil’ Luna, Someday Crafts, Free Pretty Things For You, Savvy Southern, Creations by Kara, and Primp.